071210front, originally uploaded by MollsMusings. 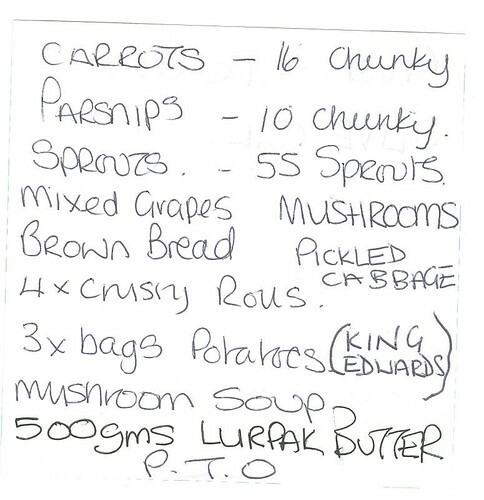 16 carrots, 10 parsnips, 55 sprouts - that's very precise! 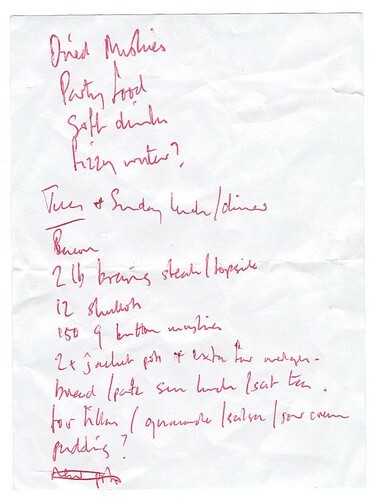 Could only be a list from just before Christmas with that many sprouts! 071210back, originally uploaded by MollsMusings. 071210, originally uploaded by MollsMusings. 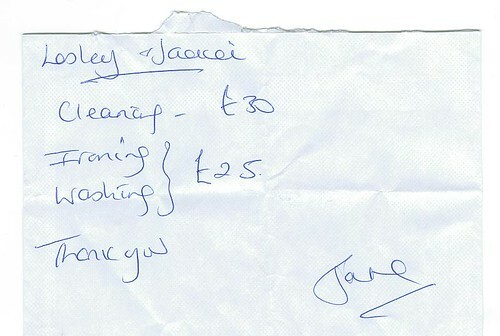 I guess that Lesley and Jackei did the cleaning, washing and ironing - £55, not bad. 071202, originally uploaded by MollsMusings. 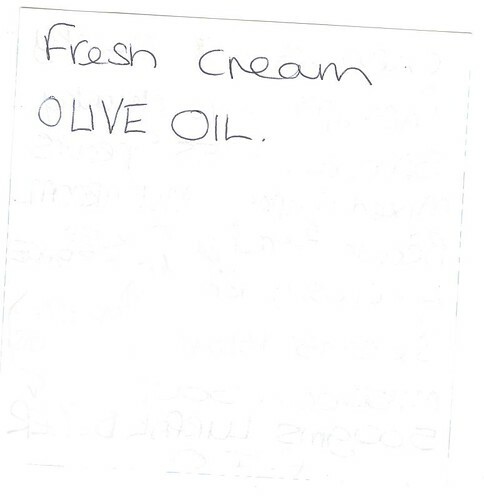 Dried Mushies - soft drugs on a shopping list?